Posted by Marshall Scheldt on December 18, 2015 in Football, Sports, Top Stories. 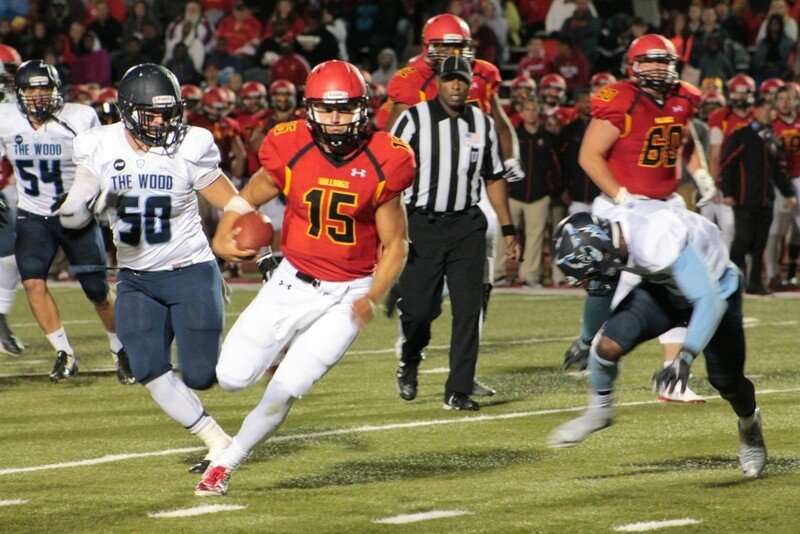 Ferris State quarterback Jason Vander Laan won his second consecutive Harlon Hill Trophy on Friday. The award is given to the most outstanding player in Div. 2 college football, and it was apparent that Vander Laan held that title. Vander Laan was awarded the 30th annual Harlon Hill Trophy, making him the fourth player to win the award more than once. The last player to win the award twice was Danny Woodhead, who attended Chadron State and now plays for the San Diego Chargers of the National Football League. Vander Laan, a 6-foot-4, 244 pound senior received 217 total points in the voting, 110 more points than second place finisher Ja’Quan Gardner of Humboldt State. Vander Laan, a Frankfort, Ill. native received 51 first place votes, 26 second place votes, and 12 third place votes. In 12 games this season, Vander Laan ran for 1,542 yards and 24 touchdowns on the ground. He completed 210 of 320 pass attempts for 2,625 yards and 27 touchdowns, bringing his TD total to 51 on the season. In his senior season, Vander Laan became the all-time leader in rushing yards at the quarterback position in any division of college football, making him arguably the best rushing quarterback to ever play college football. Vander Laan lead the Bulldogs to a combined 37-9 record in his four years where he rushed for 5,983 yards and passed for 8,240 yards in his time at Ferris State. Vander Laan will be honored at a luncheon on the campus of the University of North Alabama on Jan. 8, 2016.